Watch the overjoyed Michael Hanline taste a cheeseburger as a free man. Yesterday afternoon, the Ventura County District Attorney formally dismissed the murder case brought against Michael Hanline in 1978. While his conviction had been overturned and he was released on bond in November 2014, today will be his first day as a fully free man. To date, Hanline is the longest wrongful incarceration in California history according to the California Innocence Project, which worked for years to secure this result. 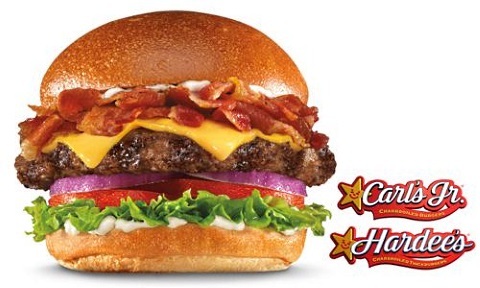 Upon Hanline’s release, the first thing he wanted was the cheeseburger he’d seen “in commercials.” That turned out to be a 1/2 pound Mile High Bacon Cheeseburger from Carl’s Jr.
Hanline exclaimed “So that’s what meat tastes like, huh?” as he ate. In the video above, you can see Hanline’s bewilderment at the sheer number of choices available at the counter. Luckily, the California Innocence Project people were there to help order. It’s just a reminder that 36 years is a long time for the fast-food world—and the world in general—to change. The LA Times reports that modern DNA testing revealed that Hanline didn’t match evidence recovered at the scene. With more stories like this coming to light every day, along with the revelation that “an FBI elite forensic unit gave flawed testimony in almost all trials” between 1980 and 2000, we think drowning our sorrows in ‘the burger from the commercials’ is the least we want to do.